The Garden at Miserden is delighted to have received a Long Service Award from the National Garden Scheme. The NGS invite garden owners to open their exceptional gardens to the public in aid of good causes. 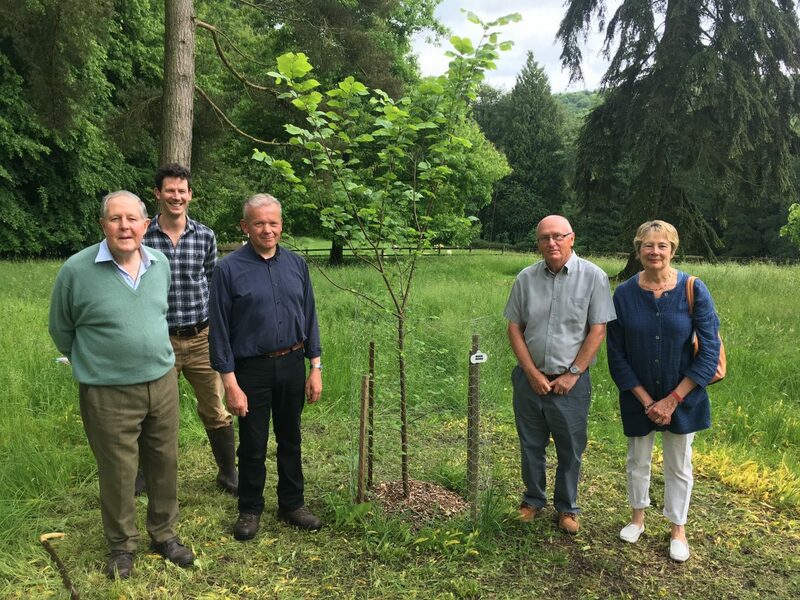 Major Tom Wills chose the Ulmus Laevis to be planted in honour of the garden’s 80 year service, which was presented to The Garden at Miserden by Norman Jeffery, NGS Gloucestershire County Organiser on 1st June 2018. Ulmus Laevis, known as the European white elm, is one of the most disease resistant elms due to its bark being highly distasteful to elm bark beetles. 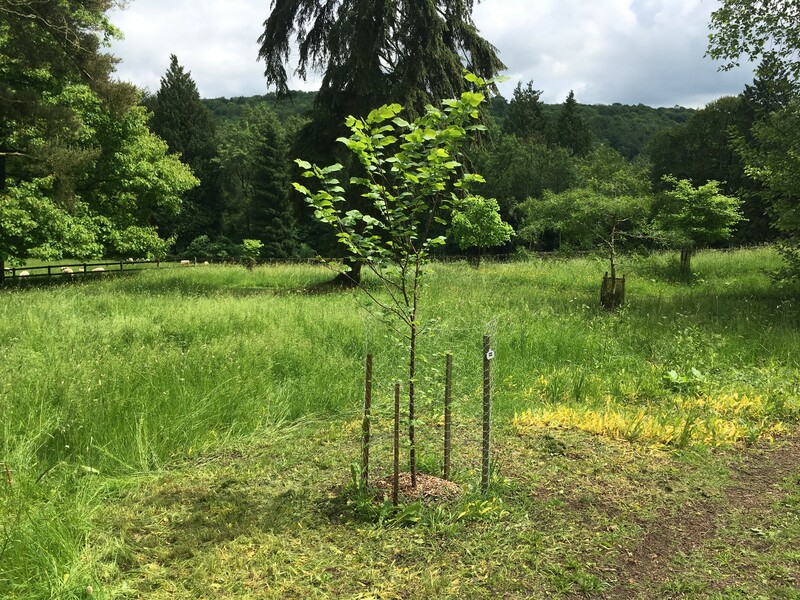 The tree enjoys a moist and even wet soil, so has been suitably planted with this in mind at the Miserden Estate. The Miserden Estate is currently run by Nicholas Wills, son of Major Tom Wills. Nicholas’ great grandmother opened the garden to the public in 1934 and with an entrance fee of 3 shillings made a commendable £10 that year. The Garden at Miserden now welcomes over 4,000 visitors a year. With a nursery and recent addition of a café located in one of the garden’s original glasshouses, and having recently also won Historic Houses Garden of the Year, Miserden expects to welcome even more visitors throughout 2018.